Move over Leonard Nimoy! Apparently, most Kickstarter donors are much bigger fans of science fact, than science fiction. 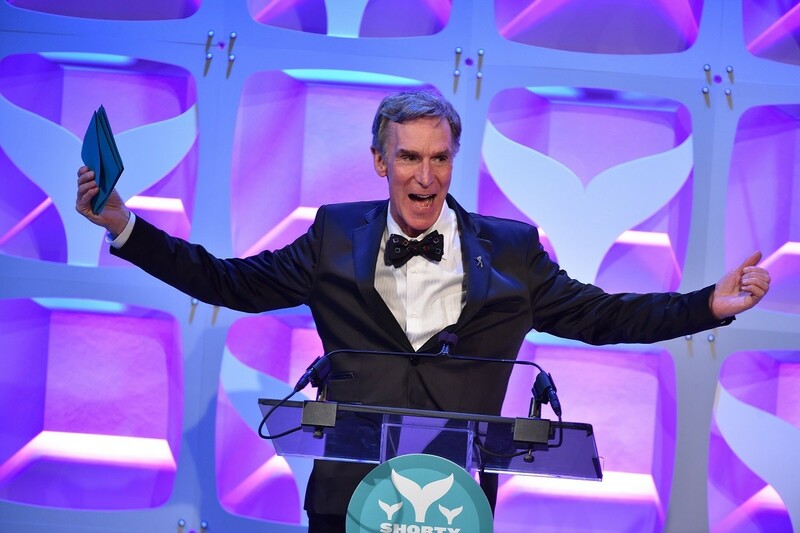 After a great run on the well-known crowd source funding site, Kickstarter, the campaign launched to detail the life of celebrity science guru, Bill Nye, has beaten Nimoy's previous fundraising record by $145,000! The campaign originally began on July 13 and concludes on August 13. With the original goal of $650,000, Bill Nye fans and supporters (all 16,000 of them!) managed to outdo themselves (and obviously Nimoy as well). Nevertheless, Nimoy's funding is nothing to sneeze at. Raising an impressive $662,000 for his own documentary about the actor and his son, Adam Nimoy– tentatively entitled "For the Love of Spock", he certainly set the precedent on the site. Although the funding clearly pales in comparison to Bill Nye's, the money and the subsequent documentary will certainly brighten the lives of sci-fi fans everywhere. Bill Nye's film will be directed by David Alvarado and Jason Sussberg who also collaborated on the documentary "The Immortalists". In addition, production is set to be handled by Nick Pampenella and Academy Award winner, Seth Gordon. Although giving to his campaign was clearly a selfless act, the donors or "backers" as the site refers to them, didn't exactly walk away empty handed. Incentives included a sneak peek of the film, hand-written notes on the notorious evolution vs. creationism debate, one of his bowties, and even an associate producer credit for $10,000. For those who are yet unfamiliar, one of the world's most beloved celebrity/ TV scientists, Bill Nye hosted 100 episodes of "Bill Nye The Science Guy" between the years of 1993 and 1998. Although the show was originally intended for children, it managed to captivate a large audience of adults as well. The scientific TV personality also appeared in live-action, educational segments of "Back to the Future: The Animated Series" as a demonstrator of science, narrated by none other than Christopher Lloyd. Also the CEO of the Planetary Society, an organization in which they are leading a mission intended to launch a solar-powered satellite into the cosmos as well as advocating for the vitality of science, technology, as well as discoveries of all kinds, the scientist continues to do great work for the world at large. With his numerous TV/ news cameos under his belt, it'll be awesome to see this guru starring on the silver screen. Effortlessly covering some of the most sensitive and controversial topics known to man, it's going to be interesting to finally get some background information on the complex man who's simplistic explanations made us all lovers of science. Television personality Bill Nye the Science Guy believes Disney owes him of millions in profits due to the continued popularity of his 1990s kids show.